The RSD Ronin Leather Jacket is an exercise in nostalgic design blended with modern functionality. The RSD Limited Set hand finished and waxed 0.9mm-1mm thick cowhide construction gives the Ronin a tough yet supple feel that ages as you wear it. Pre-curved arms and pockets for RSD x Forcefield armor turn the Ronin from just another leather jacket to a motorcycle jacket you can trust when things go wrong. Just like Roland's many custom bikes, the Ronin gives you everything you love about the days of yesteryear along with the convenience of modern functionality. Note: The handwarmer pocket zippers are shown unzipping from the top down. They actually unzip from the bottom up. Note: Color of jacket will lighten over time due to exposure to UV light. I love this jacket. It not only looks great, a true classic motorcycle leather, but its fit and finish are outstanding. I realize it's north of $600 but if you are wanting a classic this is it. I've owned some nice leathers in my time but this one is the best. I spent months searching high and low for a beautiful - yet - protective jacket that had no obnixious branding, that I could wear on any style of bike and would look great off the bike as well as on. I've had this for 6 years now, and besides its lack of airflow, it is perfect. Literally everytime I wear it I get compliments. Every time I put it on I get that "I'm wearing something special" feeling. It has pads. The more I wear it the better it looks as it develops a slight petina. The finishes are beautiful and top notch. I have actually been in a low-side crash with this jacket! Oh no! Well not to worry, I put some Allen Edmonds brown polish on it and you'd really have to look closely to tell something actually happened to it, so I know it will survive multiple "offs". The whole thing is just gorgeous, functional, comfortable, and protective. Is $600 a lot for a jacket? Absolutely. But think of this more as an INVESTMENT; you can wear it on any style of bike, you can wear it to parties/holidays/bars, etc and be one of the sharpest dressed people in the room. I'm now wanting to get my wife one of their jackets; she's been asking for a leather jacket and based off of my experience, any Roland Sands leather jacket will last a lifetime. I'm 5'9 155 32'' waist, runner's build, narrow shouldered. The last part is key, since it seems like the Ronin fits a broad shouldered build much better. I first got a Medium but it was waaay too big in the shoulders and waaay too long in the sleeves. I exchanged for a Small and it fit much better, but still slightly big, no worries though as I am able to layer a flannel, sweater or hoody underneath with room to spare - which turns out to be necessary because this jacket breathes surprisingly well. The perforation runs along the underside of both arms and lets in plenty of air, so I can comfortably rock the Ronin into the hotter months. I purchased the Tobacco color, which in my opinion is much lighter than photos online would have you believe - this was a bit of let-down since I was hoping for a darker brown. Just know that in person and in certain lighting it's a light brown rather than a dark. I have absolutely owned more gear than I care to admit, and it all seems to be really expensive stuff. The Ronin is no exception. 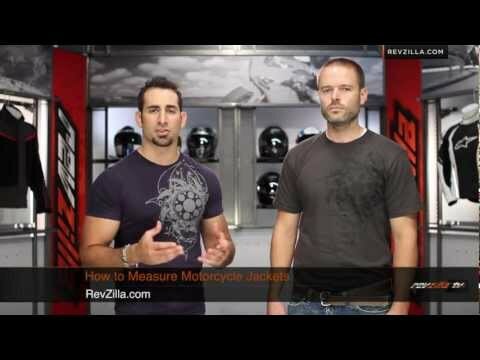 I did not have the pleasure of buying it at Revzilla, as it was 8+ years ago. The jacket had just come out and I found it locally. I drove probably 25 miles to check it out and they had what I wanted, but it was a medium. I'm 5'10", 185lbs on average (it fluctuates), 42 1/2" chest. The medium was tiiiiight. It was all the had so I bought it anyway. Really loved the way it fit, even if it was super snug. Ok, so flash forward to about 3 months later. The liner started ripping. I don't mean at the seams, I mean a straight up stress tear! Garbage material for that gold/satin liner...just awful. So, why did I give this such a bad review? I expect more for my money. I have Dainese gear that doesn't do this. I have Klim gear that doesn't do this. IMO, RSD is like the True Religion of motorcycle gear. Style is on point but at the end of the day the quality is on par or worse than anything even at a much lower price point. You can't deny the style. This jacket has it. If you're buying to be a cool mofo, then this is your jacket. It looks fantastic. 1.) Buy it in your size! 2.) Don't be surprised when the lack of quality starts showing. Man... being a fanboy of RSD I really had some high expectation from this jacket. Sadly, a little over a year and 14k miles this jacket is falling apart at the seams. Literally!! Let's be real here. You'll buy this jacket if money is not an issue and you want that RSD badge. But in all honesty, you can guy a better quality built jacket for less and it would still be just as stylish. Why did I buy it? Cause money wasn't an issue and like I previously mentioned, I was a RSD fanboy. Jacket does not come with any armor so the only thing this jacket will do is somewhat save your skin. I say somewhat because the stitching along various parts of the jacket has come undone. The most important section is the main zipper, where a good 4" of the seam is no longer attached to the jacket. From my past experience with other jackets, the teeth of the zippers will loose its grip before the stitching. Tbh I've had stitching in pockets and what not come undone but this is the first for me when it comes to the main zipper. No special features about this jacket. to give it more/less than 3. The jacket has some weight to it but it is distributed well when you wear it making it seem light. The lining is smooth that even during hot summer days your sweaty arms do not stick to the lining. The various leather patching and perforated leather makes this jacket flexible even with the additional armor that I've added. 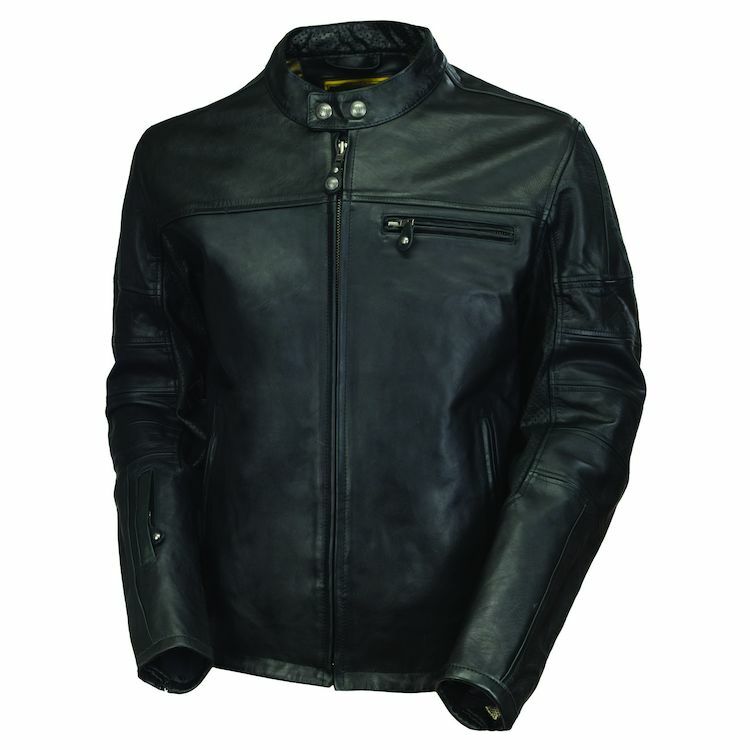 It's a very stylish jacket with a modern take of the classic cafe racer jacket. My only beef with this jacket is the discoloration. I purchased the Black jacket but after a few months the discoloration started appearing on the shoulders. I wear a backpack when I ride. But after several months, sleeve and the shoulder are discolored unevenly from the rest of the jacket. If I wanted to buy a distressed leather jacket, I would had bought a distressed leather jacket. The air flow is not that bad. Yes, you will get hot at a stop but shortly get cool once you start moving again. With perforation only being in the sleeve, you can wear this jacket when the weather cools and somewhat stay warm. Save your money and buy something else. There's other brands that are just as stylish that have more to offer. I bought my black Ronin jacket in 2015. It is the middle of 2017. Panels of the jacket have faded much more than expected. In some areas, it looks like a 2 tone (black /tan) jacket. Anyway, RSD has been very responsible & respectable on this issue, as has Revzilla. Loved the jacket on the 6' 195 pd guy. It did look slightly small. I am 5'11" and weigh 225 pds. My leg length is 30" so I have a tall body. always have trouble buying shirts. also last checked belly measurement is a 43+. When trying on most jackets say size 48 to 50, the front part of jacket are usually to short making the belly stick out. What can be done about that? Will buying a tall fit get rid of that? Aesthetically, this is a very pretty jacket. The leather smells nice. It's fairly well made - I feel like it would probably protect me in a slide. The lining is attractive and comfortable. It doesn't look like a "motorcycle jacket". Fitwise, I bought a medium. I'm 5'10" to 11"-ish. 41" chest. 31-32" waist. Long arms - enough that it's often an issue for me. The fit is pretty damn close. If I was tailoring it, I'd make the upper sleeves a bit smaller in diameter - they don't look bad but they are slightly oversized, imo. I'd probably shorten the torso a bit also - 3/4"-1" - but only because it bunches in the front when sitting on my scooter. The chest and waist could stand to come in slightly, also. Overall I'm happy with the purchase. I chose this jacket mostly because it looks great, has pockets for armor, and quality of construction that should offer some protection in the event of a crash. I'd like to give this 4.5 stars due to fit/cost combo. 4 stars is unfairly low though so I marked it at 5.